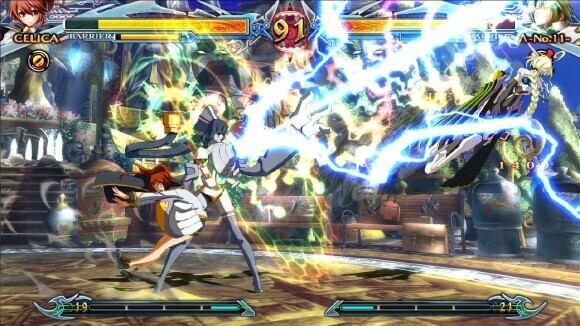 The latest installment of the BlazBlue franchise by veteran fighting game developer Arc System Works is another one for the books. This game however, is less of an installment of more of an extension, hence the title BlazBlue: Chrono Phantasma Extend. 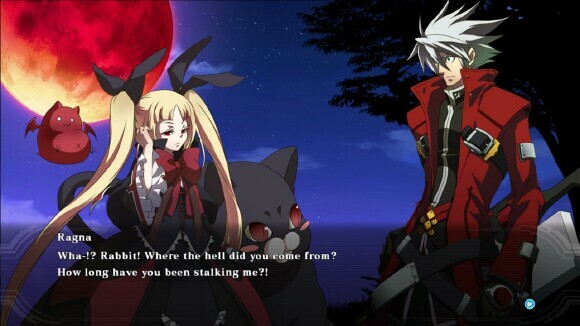 The BlazBlue storyline has always been extremely complex so if you're jumping into Chrono Phantasma Extend with no background knowledge then prepare to be completely lost. Thankfully, Arc System Works took this into account and included a mode called "Teach Me More, Ms Litchi!" which, if you're willing to take the time and sit through it, will recount all of the events from the first BlazBlue until now. It's pretty long and extremely dialogue heavy but will definitely fill you in. Of course, there are the traditional modes as well. Story, Versus, Score Attack, Training, Tutorial, Arcade, and even a Challenge mode which will help you learn some character specific combos, both basic and advanced. If you didn’t play the original Chrono Phantasma release, then by all means feel free to jump right into Extend. The story mode fills you in on anything you didn’t know regarding the current situation and it even has a Story Extend to give some further insight on what is happening within the BB universe. Arc System Works even went as far as including a brand new Gag Story branch for those wacky non-canon endings and “Remix Heart Gaiden” which is an extension of the BlazBlue manga. There’s plenty of lore and background to sift through in Extend, if that’s your thing. 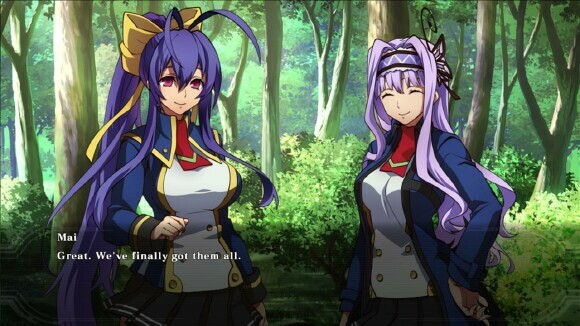 Chrono Phantasma Extend has some non-standard game type additions as well. Abyss mode is an RPG-esque feature where players will pick a character and battle through a tower trying to see how far they can get. Every 20 stages, the computer will introduce a boss version of the cast for an opponent. These boss characters all have attributes that they normally wouldn't such as increased speed or damage. Upon defeating said boss, players will be given the opportunity to collect a bonus attribute as well. It's very interesting and highly addictive, especially when you can mix a set of abilities to create powerhouse characters or give them enough speed to do combos that can't normally be done. The twist to Abyss mode is that every hit you land on an opponent, outside of bosses, increases the depth you go. Another non-standard mode is Unlimited Mars. This is possibly the hardest mode of any fighting game ever created. Unlimited Mars pits players against the computer similar to Arcade mode. This is where the real fun begins. Unlike Arcade mode, where you can set what difficulty you want to fight at, Unlimited Mars is set to a difficulty that is higher than the hardest difficulty. If the highest difficulty is called Hell, then Unlimited Mars must be the Ninth Circle. That still wouldn't be as bad if it wasn't for the additional twist. Unlimited Mars doesn't get its name from being too hard, it gets its name because all of the opponents are in their "Unlimited" form. Let me explain. The Unlimited form of a character is them at their peak, they move faster, do more damage, have more health and even have unlisted super moves. Unlimited characters are broken characters, and in Unlimited Mars you have to fight these broken characters at their best. Thankfully, when you complete Unlimited Mars you get the Unlimited form of the character you beat the mode with. Unlimited characters are only allowed in certain game types though. Don't expect to use them to run through Arcade mode, but feel free to pummel your friends with them. 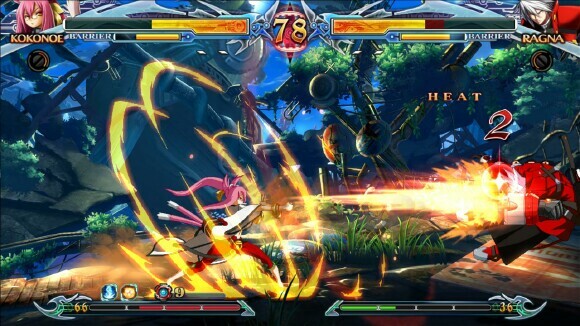 BlazBlue: Chrono Phantasma Extend, as with all BlazBlue’s, doesn't use a standard fighting game button layout. Instead, the top three face buttons on your controller (Square, Triangle, Circle on PS4 and X, Y, B on 360) are designated as A, B, and C. A is a light attack, B is medium, and C is your heavy. Used in conjunction with the D-pad or analog stick will change properties but not move type, along with special moves. Example, Jin's neutral B is a standing attack while his forward B is an overhead, but they are both still of medium damage. Some special moves, depending on the strength you used will change the position, speed, and/or recovery time, as well as damage. The last face button (X on PS4 and A on 360) is D, for Drive. Drive attacks are unique to each character on the roster. 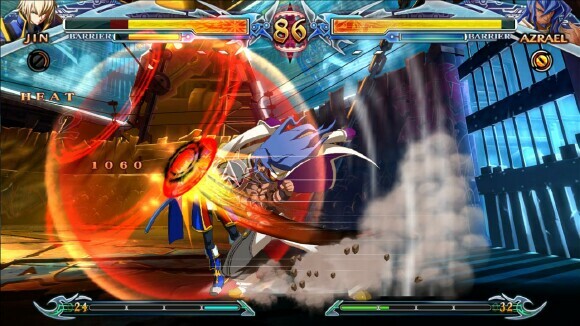 Jin, for example, can summon ice to freeze his opponents granting him the ability to go on the offensive or gather his thoughts and retreat for a few seconds, while Ragna's Drive Attack allows him to seep an opponent’s health whenever they get hit by his blade - whether they're blocking or not. There's plenty of depth in the game, including barrier guarding, barrier bursting, Overdrive, and the ever flashy Astral Finish which will immediately kill an opponent if a number of criteria are met. Also, new to BlazBlue Chrono Phantasma Extend are the additions of two “brand new” characters as well as the return of the DLC characters from the first BBCP. 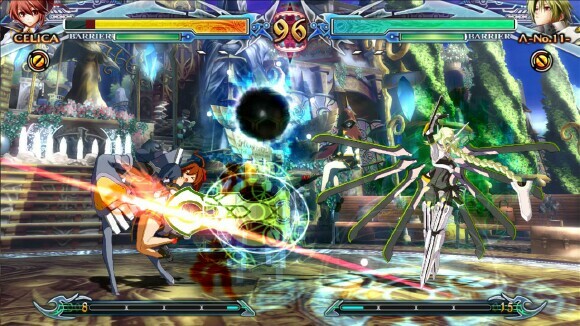 The first character is Celica A. Mercury, who makes an appearance in the original BBCP, but was never actually playable. She’s a doll character that uses her doll more often than she actually throws a punch herself. The second character is Lambda-11, who has been in previous titles before, but has now hopefully returned for good. While both of these characters share similarities with other ones, it’s their play style and move properties that make them unique to that game rather than a palette swap. 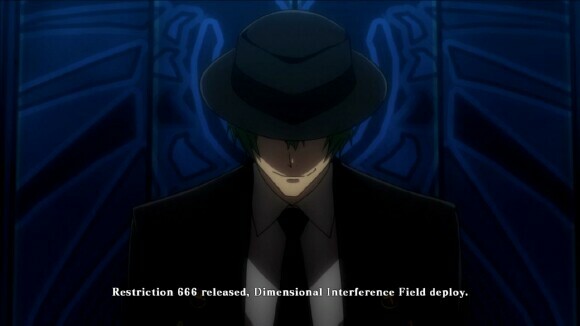 BlazBlue, since its inception, has been filled to the brim with an instrumental rock soundtrack and it suits the game so perfectly, and of course Extend is no different. A nice feature this time around is the option to spend in game money in order to purchase BGM from the older games; you can even purchase previous stages to fight in! The only time the rock takes a backseat to a light classical tune is during sappy, melancholic, and overly dramatized story mode cutscenes but yet it still manages to fit the tone in the moment. All the character sprites in BlazBlue are hand drawn which is quite a feat when you see the amount of motion that these characters do. From walking and dashing to their attack animations, it's really well put together. 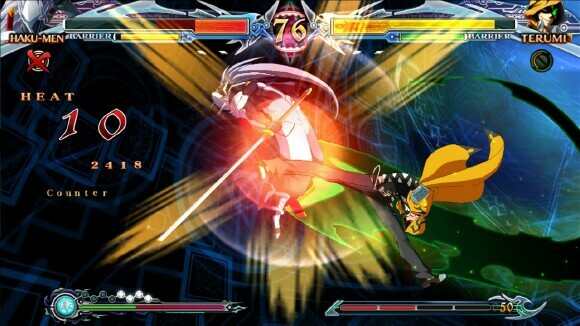 Everything about BlazBlue: Chrono Phantasma Extend is put together extremely well. It combines everything from the two previous games and even ties in the novel. There is no lack of things to do and there is plenty of unlockable artwork in the gallery, some of them just for the fan service. The online community is one of the best I've ever had the pleasure of dealing with as well. People you play with will usually send you mail expressing their gratitude for playing or give you tips on how to improve, and of all the games I played against random opponents; about 3 of them had connection issues. That isn't surprising though, most of Arc System Works games have minimal lag. 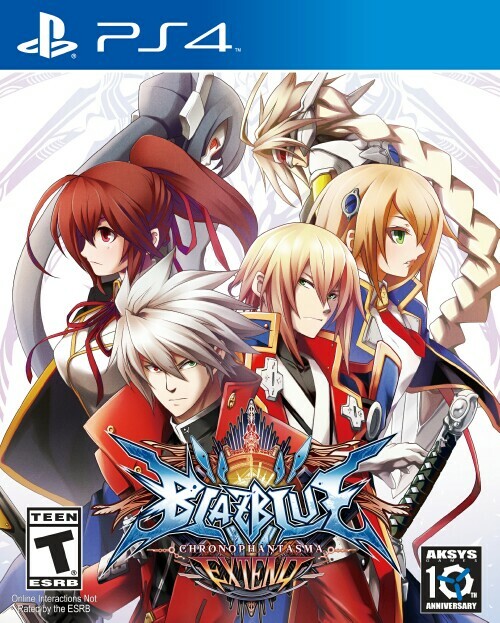 I gladly, and more than willingly, give BlazBlue: Chrono Phantasma Extend 5 TOV Stars out of 5.